The 2014 Orange Holiday Festival held fun and surprises for everyone. The Gingerbread Houses were lovely and learning how to make one from the pros, delightful. Al deCant and the Amity Chamber Singers filled the Library with beautiful music, and children had the excitement of guessing how many candy kisses were inside a giant jar and an opportunity to write a letter to Santa. The old school room at the Academy Building hasn’t seen so much activity in years, as kids sat at the old wooden desks and wrote on individual chalk boards. For some it was the first visit to the historic building that once served as Town Hall. (It is open to the public every Saturday). The Congregational Church bell choir sounded better than ever. The Ice Carver made an awesome train engine on the front lawn of the VNA building, and next door at Mapleview Farm the Orange Juniorettes collected items for the Milford-Orange Animal Shelter. One special surprise was Santa’s arrival PRIOR to the tree lighting. In past years, he rode in on a fire truck, but this time Santa was accompanied by the fire department, but rode in on a motorcycle with a sidecar in which his friend “Buddy, the Elf” had somehow managed to squeeze his long legs. The two greeted children, who shared their Christmas wishes with the Jolly one as smaller elf helpers handed out candy canes. First Selectman Jim Zeoli thanked his office assistants Mary Shaw and Karen Goldberg for all their hard work in planning the event, along with several other people who played an important part in making the day a success. The tree lighting itself had a different twist, with a large festive handle created by Chris Small, the master of Orange’s Lincoln Lights display. In past years, the switch was flipped inside a power box near the street. 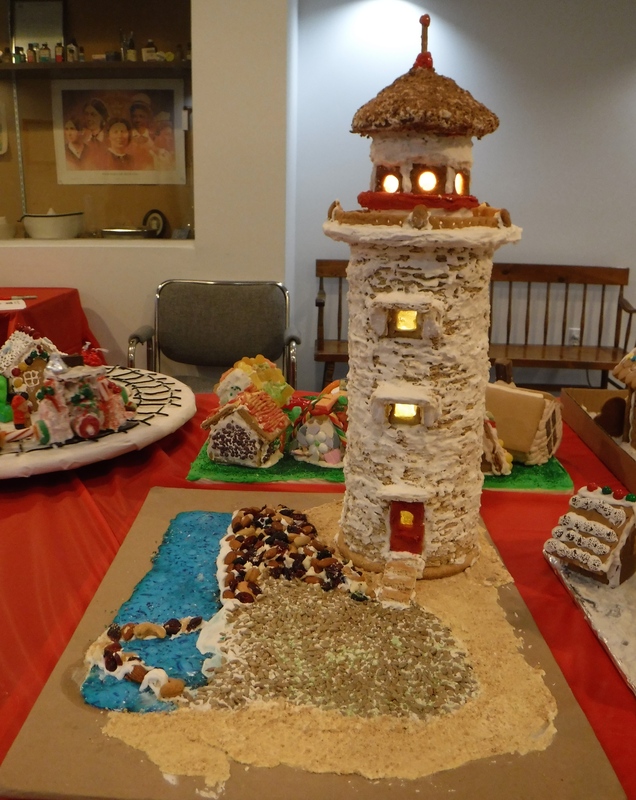 But this time, the winner of the Gingerbread House Contest and Santa pulled the giant lever. So much fun! Children seated on the ground led the crowd in a round of Jingle Bells and the festivities wound to a close. The Town of Orange invites you to attend the Annual Holiday Festival and Tree Lighting on Sunday, December 8, 2013. 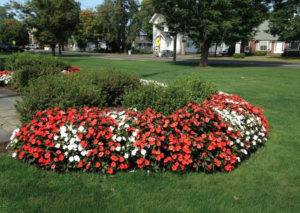 Festivities on and around the Orange Town Green will begin at 3:00 p.m. All activities are free of charge. Visitors may tour the Stone-Otis House to learn what a Victorian Christmas was like. 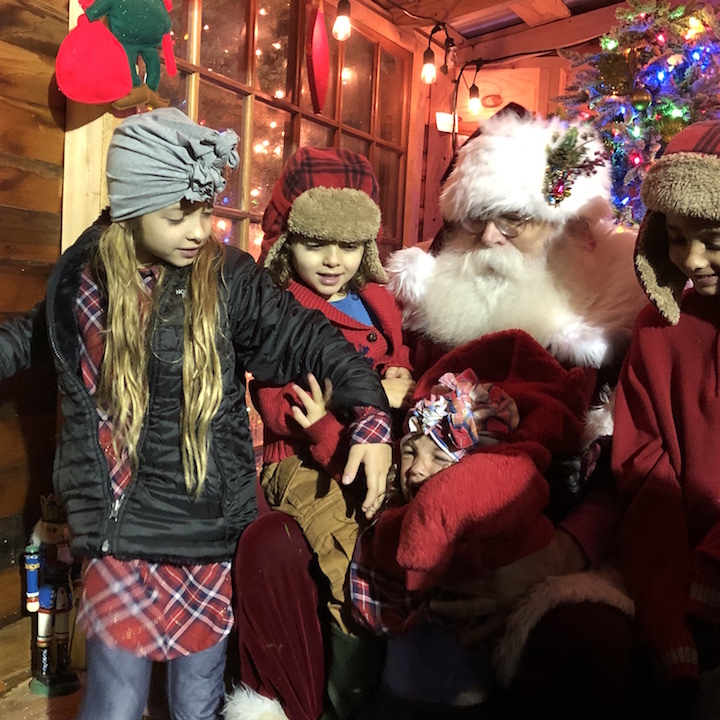 The Connecticut Yuletide Carolers will provide musical entertainment strolling around town buildings and at the Stone-Otis House from 3:30 to 5:00 p.m. The Academy Building and the antique shop will be open and invites you to view the Historical Society’s antique collections and Emily Prudden Watercolors, as well as the Orange to Derby line model railroad in the lower level. 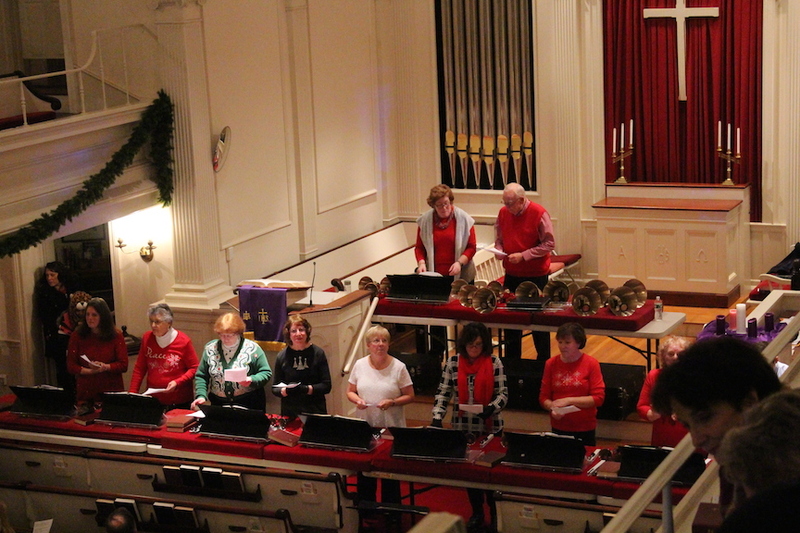 The Orange Congregational Church Bell Choir will perform a hand bell concert and carol sing in the church sanctuary from 4:00 to 5:00 p.m. as well as an Alternative Gift Fair, Cookie Sale and crafts for the kids from 3 – 5 p.m. The Case Memorial Library will be splendidly decorated, and will host a performance from the Amity Chamber Singers from 3:45 – 4:00 p.m. and from Al deCant who will perform a children’s musical program in the library meeting room from 4:00 – 4:45 p.m. Guess how many candies in the jar at the library and win a prize and write a letter to Santa Claus. The Library will be open from 3:00 p.m. – 5:00 p.m.
Building at 2 p.m. on December 8th and must be picked up between 5:30 – 6:00 p.m.
An ice carving demonstration will take place in front of the Clark Building from 3:00 – 5:00 p.m.. The Tree Lighting will take place at 5:30 p.m. 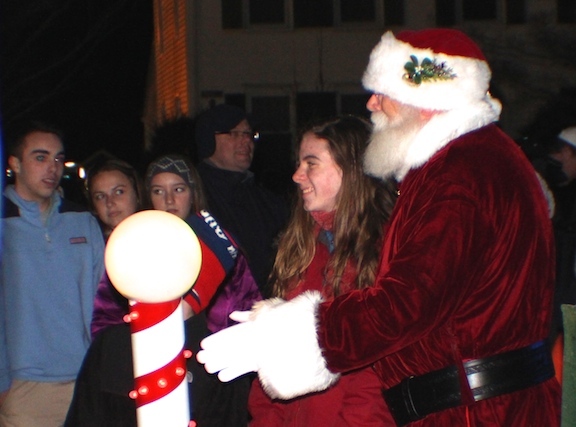 Immediately following, Santa Claus will arrive at the Town Green for a visit with the children. The Holiday Festival will end at 6:00 p.m.